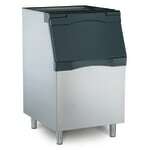 The Scotsman B530S ice storage bin has a capacity of 420 pounds. A convenient, built-in scoop holder keeps the included scoop out of the ice, helping to keep ice sanitary and make scooping quick and easy. For additional easy access, the door is spring-loaded with hidden hinges so opening and closing the door is simple. The exterior of the bin is constructed of stainless steel for extra durability, and the polyethylene bin interior is sanitary and easy to clean. 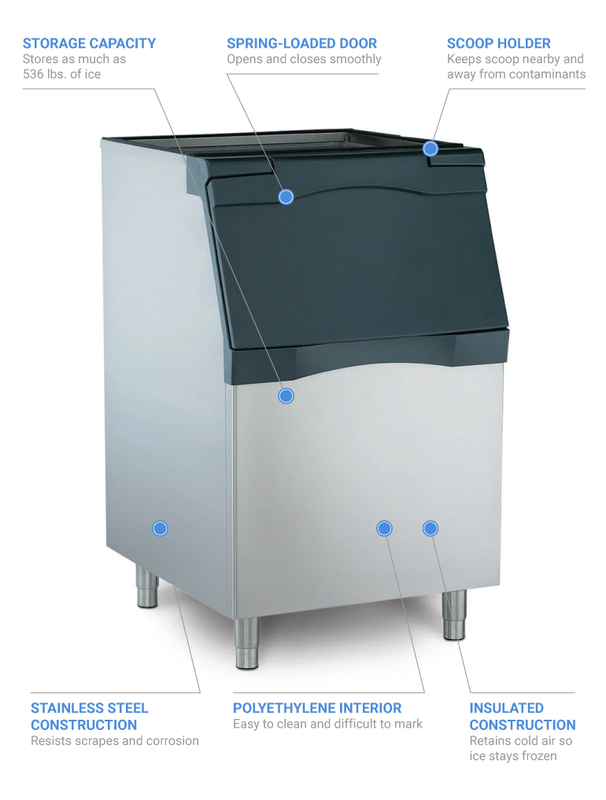 The interior of the bin is also designed to resist scratches and scuffs from ice scoops. Foamed-in-place polyurethane insulation is used to retain cold air and slow the melting of ice held in the Scotsman B530S ice storage bin.